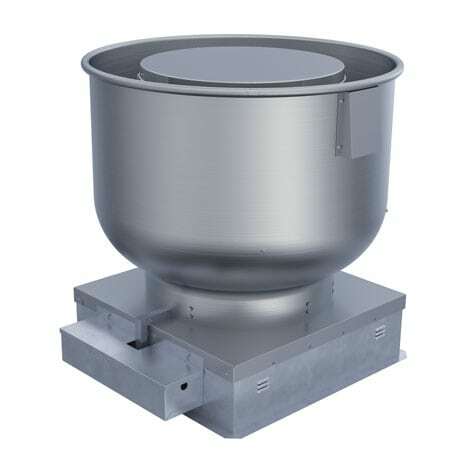 The BCRUR Centrifugal Roof Exhauster is designed for roof mounted exhaust of grease-laden air from kitchens, restaurants, cooking and dishwasher hoods that require the exhausted air to be moved up and away from the building. The BCRUR features a high efficiency, non-overloading backward inclined centrifugal wheel precisely matched to a deep spun venturi. The wheel, motor and drive assembly are completely isolated from the fan supports by rubber isolators to reduce the transmission of noise and vibration. 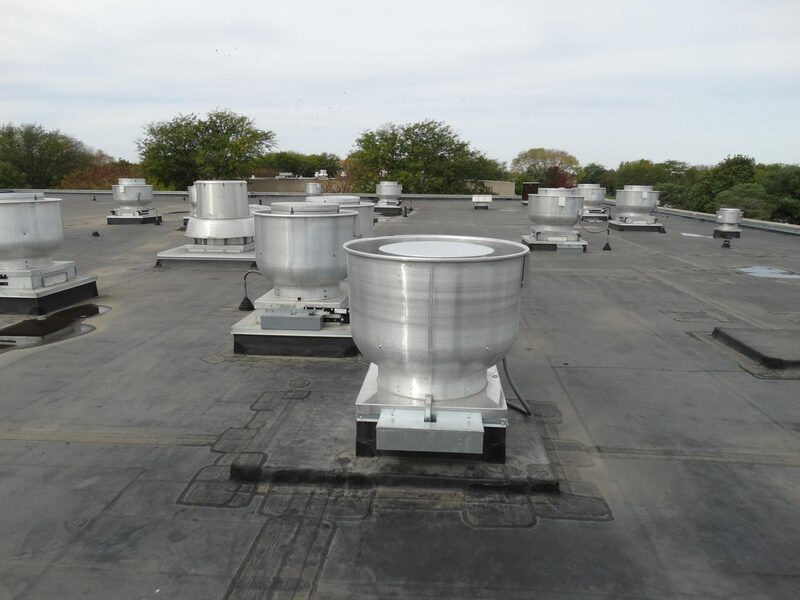 The top cap also provides complete protection for the motor and drive assembly while allowing quick access to these components without the need for tools.